The Alpinestars Tech-Air Race Airbag System is the result of 15+ years of extensive safety research and development. 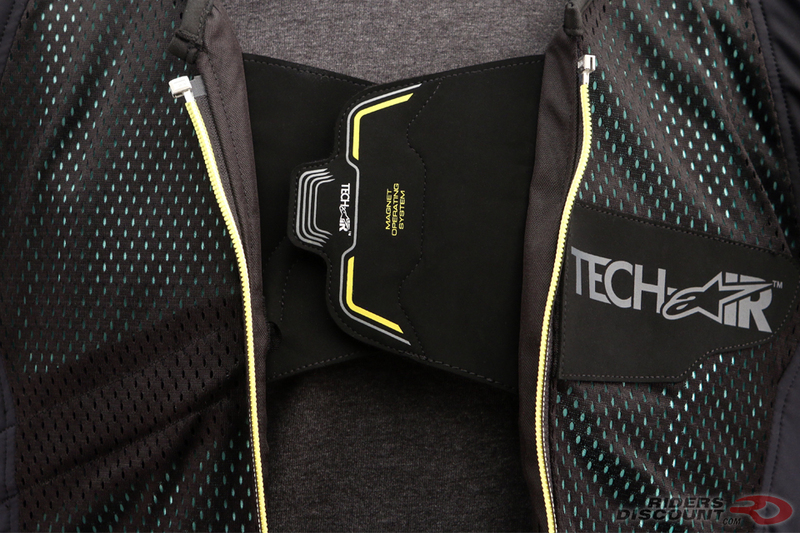 Tech-Air is the only proactive, independent airbag system on the market – no GPS, tethers, or on-bike sensors needed. 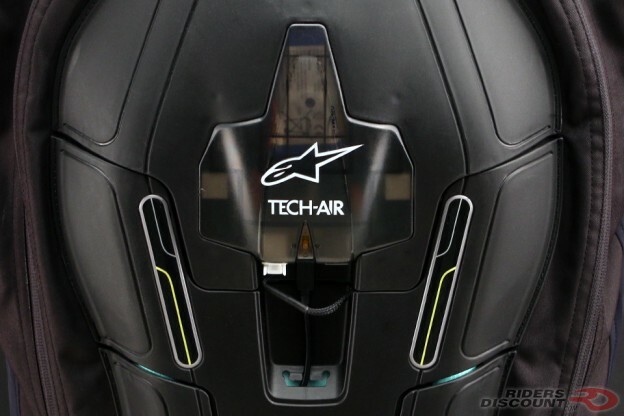 The Tech-Air Race Airbag System utilizes electronic sensors that communicate with the Airbag Control Unit (ACU). This allows the system to be proactive, providing protection prior to the first impact in a crash. 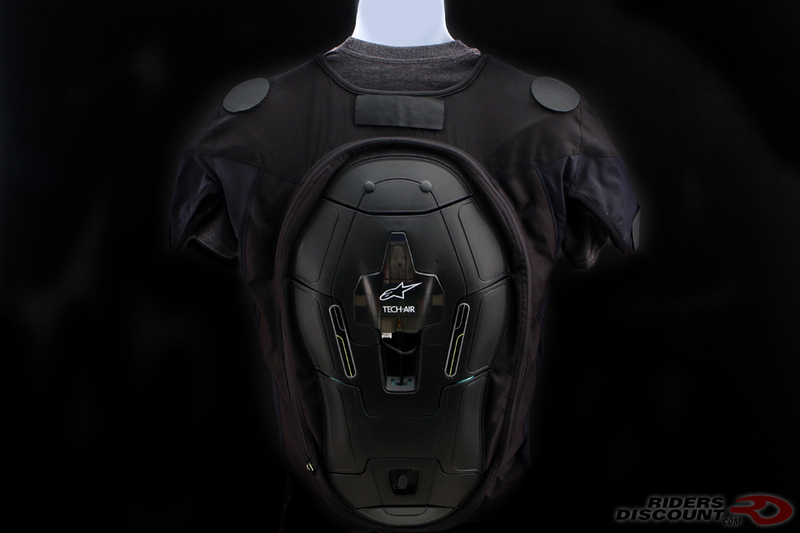 When inflated, Tech-Air Race provides full upper body protection for the back shoulders, kidney area, chest, and upper abdomen. 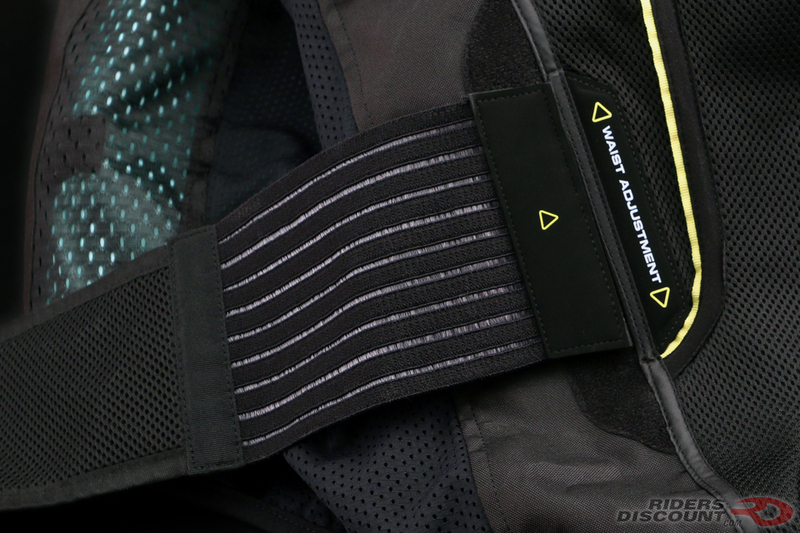 The ACU is seal-protected inside a CE level 2 back protector, allowing all-weather use. Tech-Air Race is certified to function between -10°C and 50°C. The Tech-Air Race system comes pre-loaded with the Race firmware, which is optimized from MotoGP. The Race firmware allows the system to have two separate deployments on the track. The Tech-Air Race system can be configured to run the Street firmware, which is optimized for use on the street. The Tech-Air Race system will fully deploy in 45 milliseconds and stay fully inflated for 5 seconds, then begin to deflate on its own. This system uses a certified lithium-ion battery, with a battery life of 25 hours and a full recharge time of approximately 6 hours. 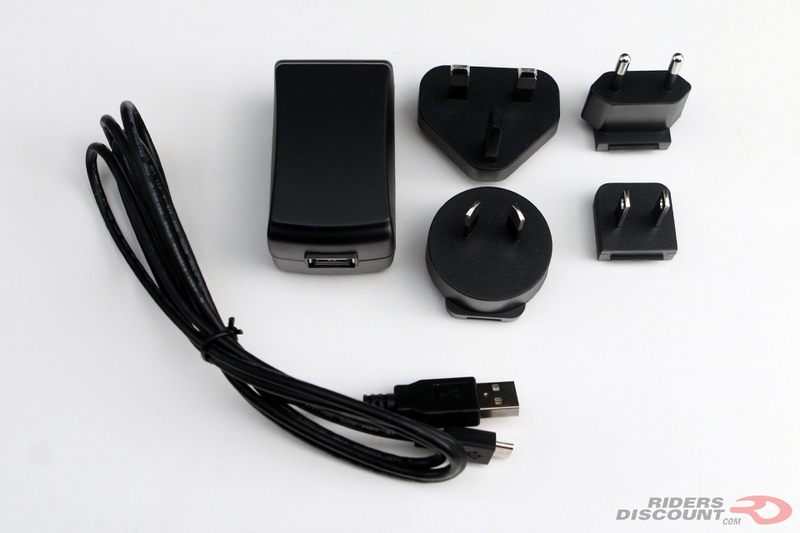 One hour of charge equals approximately 4 hours of protection. 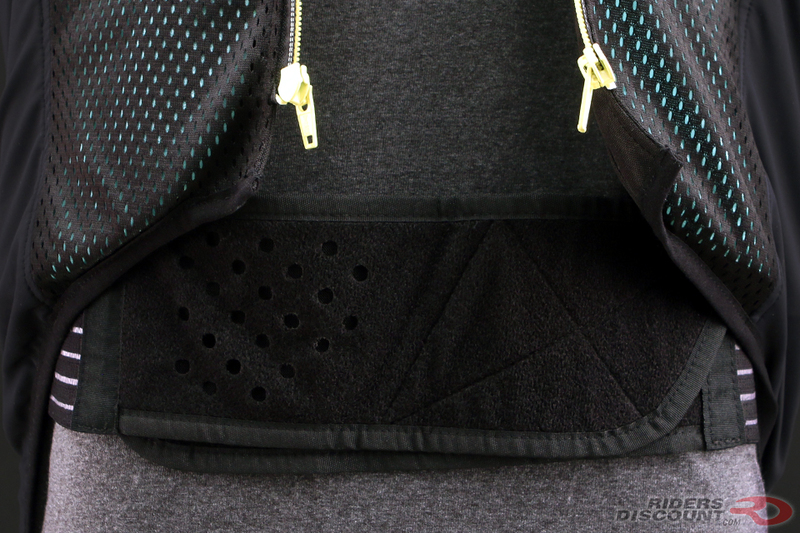 The main shell has a multi-material construction of Lycra, Cordura, and 2D mesh. 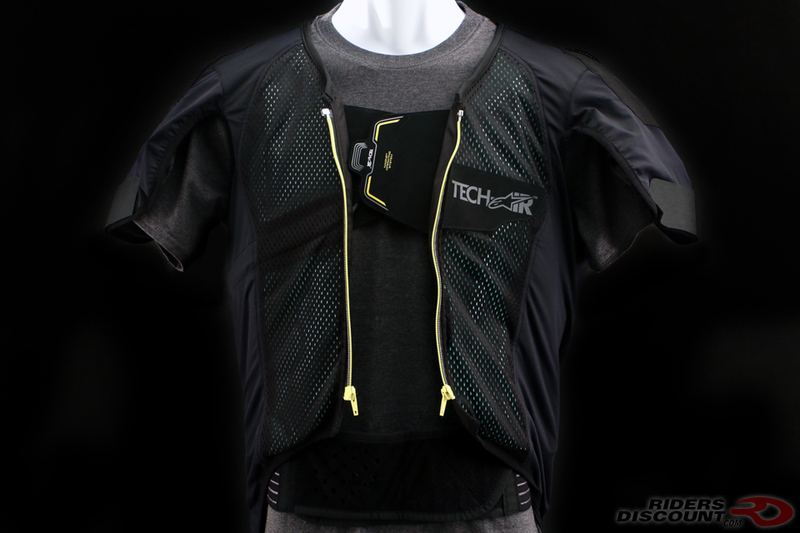 Tech-Air Race has dual charge capability for sizes M-XL and single charge capability for 2XL garments. Not yet listed on our website, you can order your Alpinestars Tech-Air Race Airbag System by calling our expert sales team at 1-866-931-6644 between 10AM-6PM ET M-F. You can also email us at support@ridersdiscount.com. This entry was posted in News, Product Reviews and tagged Alpinestars, Alpinestars Tech-Air, Alpinestars Tech-Air Race, Alpinestars Tech-Air Race Airbag System, Riders Discount on September 12, 2018 by Riders Discount.